Lifesaving Society Instructor Trainers (ITs) teach, evaluate and certify Instructor candidates. ITs are experienced and knowledgeable Instructor, Examiners, or Coaches who undergo specific training in teaching instructors. Trainer candidates must have teaching experience: they must have taught or co-taught at least one course in the stream(s) in which they are seeking appointment as a Trainer. For example: Lifesaving Instructor Trainers apprentice on a Lifesaving Instructor course; Swim Instructor Trainers apprentice on a Swim Instructor course, First Aid Instructor Trainers apprentice on a First Aid Instructor course, etc. The Trainer course provides candidates with an understanding of the expectations and requirements to teach instructors, and prepares participants to successfully appentice as a Trainer on the Instructor course(s) of their choice. It shapes positive attitudes and values about the Society's Instructor Training Program, planning, learning/teaching and evaluation content and allows participants to demonstrate their knowledge, skills, teaching and evaluation techniques. 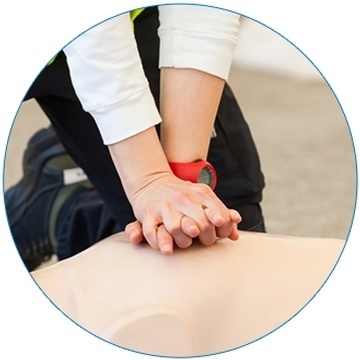 All required Lifesaving Society reference materials have been included in the course cost and will be issued to each candidate at the first class. Pre-course Assignment: This course requires the completion of a pre-course assignment. Candidates will need to arrange for pick-up or delivery of the course materials two weeks prior to the first class to allow for completion of the assignment.